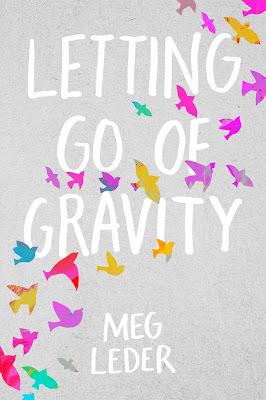 I am so excited that LETTING GO OF GRAVITY by Meg Leder is available now and that I get to share the news! If you haven't yet heard about this wonderful book by Author Meg Leder, be sure to check out all the details below. This blitz also includes a giveaway for 3 finished copies of the book, courtesy of Simon Pulse and Rockstar Book Tours. So if you'd like a chance to win, enter in the Rafflecopter at the bottom of this post. And of course, there's the one other major difference: Charlie got leukemia. Parker didn't. But now that Charlie is officially in remission, life couldn't be going better for Parker. She's landed a prestigious summer internship at the hospital and is headed to Harvard in the fall to study pediatric oncology-which is why the anxiety she's felt since her Harvard acceptance is so unsettling. And it doesn't help that her relationship with Charlie has been on the rocks since his diagnosis. Enter Finn, a boy who's been leaving strange graffiti messages all over town. Parker can't stop thinking about those messages, or about Finn, who makes her feel free for the first time: free to doubt, free to make mistakes, and free to confront the truth that Parker has been hiding from for a long time. In ancient Greece, one of the twelve labours of Heracles was to bring back a golden apple from the Garden of Hesperides. To archaeologist Oriel Anderson, joining a team of Greek divers on the island of Helios seems like the golden apple of her dreams. Yet the dream becomes a nightmare when she meets the devilish owner of the island, Damian Lekkas. In shocked recognition, she is flooded with the memory of a romantic night in a stranger’s arms, six summers ago. A very different man stands before her now, and Oriel senses that the sardonic Greek autocrat is hell-bent on playing a cat and mouse game with her. As they cross swords and passions mount, Oriel is aware that malevolent eyes watch her from the shadows. Dark rumours are whispered about the Lekkas family. What dangers lie in Helios, a bewitching land where ancient rituals are still enacted to appease the gods, young men risk their lives in the treacherous depths of the Ionian Sea, and the volatile earth can erupt at any moment? Will Oriel find the hidden treasures she seeks? Or will Damian’s tragic past catch up with them, threatening to engulf them both? 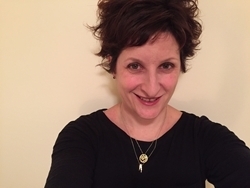 To date, Hannah has published six novels: Burning Embers, ‘romance like Hollywood used to make’, set in Kenya; The Echoes of Love, ‘an epic love story that is beautifully told’ set in Italy; the Andalucian Nights trilogy (Indiscretion, Masqueradeand Legacy), set in sultry Spain; and Aphrodite’s Tears, set on the Greek islands, which won Best Romance in the 2018 NIEA Excellence Awards and the 2018 International Book Awards. It was a man, but not one wearing a wetsuit, flippers or oxygen mask; this one was almost naked, his modesty barely protected by what could only be defined as an apology for a low-rise brief. He was no mere trick of the light. Sleek and glorious, he was suddenly hurtling out of the water, throwing spray off his body like Poseidon rising from the waves. Oriel’s breath caught in her throat as she watched him, a small frown crinkling her brow. A curious sense of apprehension seeped into her veins. In the near-darkness, he looked large, rather menacing, and disturbingly masculine as he strode through the shallows. There was an air of unquestioned dominance about this man, an arrogant power that expressed itself in the controlled motion of his body as he sauntered onto the beach. For that fateful minute, she was totally helpless, in the grip of emotions too basic to be controlled by rational thought. Instead of turning to leave quickly, she continued to stare at the stranger who had materialized like a Greek god wading from the depths of the sea. The moon slid into view again, throwing a wash of silver over long muscular legs and narrow hips, wide shoulders and a sculpted torso, all combined in a vibrantly athletic stance. As his approaching form became more discernable, each smooth, fluid curve of muscle, each long line of sinew and bone, and each angular feature glistened with a radiance that stabbed Oriel straight to the heart. Hair as dark as the devil’s soul was dripping wet across his forehead and he lifted his hand to slick it away from his face, the moonlight catching every droplet that glittered like tiny diamonds across his skin. All at once, Oriel gathered her wits, conscious that she too was only lightly clad with just a muslin sarong covering her bikini. She remembered her mother’s warning that it wasn’t wise for a woman to venture alone on a deserted beach, and she stood up to hurry back to her hotel, quickly tucking the letter and photograph into her sarong. Too late! She had barely taken a step before she found herself confronted by the tall, dark figure. Well above the average height of other Greek men, he towered over her, a dark silhouette against the moonlit sky. His eyes gleamed like steel against his deeply tanned skin as his gaze wandered over her, then rested upon her hair falling heavily down her back, pale and shining as the moon on the water. He had a strong masculine face, rather insolent and somewhat primitive – so much so that despite the tinge of fear fluttering through her, Oriel couldn’t help but feel mesmerized by this Adonis. Oriel had been too startled, too alarmed to reply at first. His comment was unexpected, and those glittering grey eyes seemed to hold her prisoner, flickering with amusement and something more intense. It was she who was bewitched. ‘I thought I was alone,’ she said, finally finding her voice. His mouth quirked. ‘So did I.’ He nodded behind him. ‘I dropped anchor back there to come in for an evening swim. It’s been a hot day.’ His eyes returned to her, intent and appraising. Oriel’s gaze flitted away and caught sight of a small boat, moored next to the rocks on her left. Partially obscured by the craggy ridge that shaped the deserted cove, only the top of the sail was visible, billowing gently in the balmy breeze. She’d been too preoccupied by her brooding thoughts to notice its arrival. She felt an urge to push past this handsome stranger and run away to the safety of her hotel bedroom, but something about this man had held her there, transfixed. The intriguing power of his personality gripped her imagination. This stranger could have stepped straight out of Homer’s Odyssey. A silky platinum lock slipped from the scarf Oriel had tied around her head in a band to keep her heavy, tumbling mane in place, and the breeze blew it across her face. He reached out a bronzed hand with tapering long fingers and lightly pushed the strand away, before caressing the length of her hair almost reverently. There was a sultry burn now in the gaze that wandered from her hair to her mouth, settling on Oriel’s wild doe eyes, which stared back at him. Her stomach curled with instinctive heat. She felt the impulse to escape, like a fawn fleeing into the brush. Instead, she stood there, pulse racing, her legs trembling as an unfamiliar exquisite sensation flooded the lower part of her body. It was madness! Never before had this sense of danger – of seduction – hit her with such potency. Surely it was the island air that had gone to her head like an enchanted potion. The dark waves murmured on the sand, their gently rolling edges lit a luminous blue under the moonlight. Everything was cloaked in unreality, and it was as if the two of them were caught in a dream. Oriel sensed that the mysterious stranger before her was also aware of the extraordinary atmosphere that engulfed them. 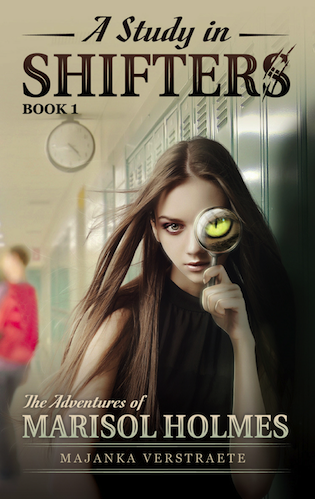 After all, as a half-blood jaguar shifter, Marisol is uniquely qualified to solve this murder-and every scrap of evidence points toward the culprit being a fellow jaguar shifter. But is one of her own people involved, or is this all a ploy to kick Marisol's mother off the shifter throne? Then Marisol discovers her best friend, Roan, is missing, and maybe the killer's next target. The stakes just got higher than political intrigue. Just when things couldn't get worse, Marisol's ex-boyfriend-turned-nemesis, Mannix, starts leaving sinister clues for her. Marisol fears this case might be far more personal than she could've imagined. It's time for Marisol to prove her worth, or her people could fall into chaos while her best friend loses his life. Author Majanka Verstraete has written more than twenty unique works of fiction. A native of Belgium, Majanka's novels explore the true nature of monsters: the good, the bad, and just about every species in between. Her young adult books include the acclaimed Mirrorland (YA Dark Fantasy) and Angel of Death (YA Paranormal) series of novels. 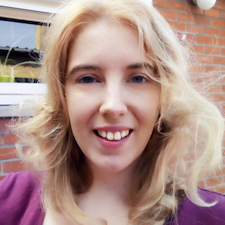 At MHB, Majanka is currently developing a new YA shifter series with a fresh take on fierce female detectives called THE ADVENTURES OF MARISOL HOLMES. When she's not writing, Majanka is probably playing World of Warcraft or catching up with the dozens of TV series she's addicted to. The Riddler is cool simply because he’s the Riddler. One riddle after another, he was my favorite Batman villain of all time… I liked him even better than the Joker, which is saying something! A Series of Unfortunate Events is one of my favorite series, and that is, in no small part, thanks to count Olaf, who always manages to change personalities with each new costume he tries on but who, in reality, is still as evil as ever! It’s been ages since I’ve seen Buffy, The Vampire Slayer (I really have to re-watch my DVDs of this epic series) but I remember how much I loved Spike. The first season we saw him, he was this cool bad guy, but then he slowly became one of the Scoobies, and eventually, he even became a “good” guy, up to some degree at least… That made him very intriguing, and his relationship with Buffy was an added bonus. A lot of people probably won’t know this book, “In The Forests of The Night,” but I strongly recommend it, mainly because of its villain, a vampire named Aubrey who is, by all accounts, awesome. He’s complicated, dark, thrilling, and he’s evil just because he can be, but he’s also loyal and mysterious. In Supernatural, for several seasons, Crowley is one of the top-notch villains. Then, he sort of becomes Sam and Dean’s sidekick, and eventually he turns into “one of the good guys”. And that’s why he’s so interesting! His personality changes over time, he grows and develops, and eventually becomes a better person. One of the reasons why I like Darth Vader is the prequel trilogy (I know, most people hate it, but it adds a lot of depth and personality to what would otherwise be a rather generic villain). Still, Anakin’s descend from pretty-okay-guy to children-slaughtering-madman happens too fast to merit a spot in the top three. Why is Loki so amazing? Because he’s not evil. He has a plan: he wants to take his father’s place, and to do that, he needs to get rid of his brother. But Loki is a lot more complicated than that. Sometimes he has Thor’s back, sometimes he double-crosses the God of Thunder. And that, his mischievous nature and the fact he’s not bad-bad is what makes him so intriguing. One of my favorite characters in Game of Thrones is, no doubt, Cersei Lannister. Why? Well, she is evil, that’s a given, but she has purpose and drive, a reason why she does what she does, and no matter how much peril she is in, she always finds a way out of it. This resourcefulness along with the fact she only gets more intriguing over time is why she’s one of my favorite villains. Of course, I have to give the grand number one title to Moriarty from the Sherlock Holmes’ books. I’m a little biased, but still, he’s one of the best villains ever written about. He’s clever, witty, and he’s a solid opponent for Sherlock Holmes. Also, he does things for a reason, not just because he’s evil: his motivations are far more complex.